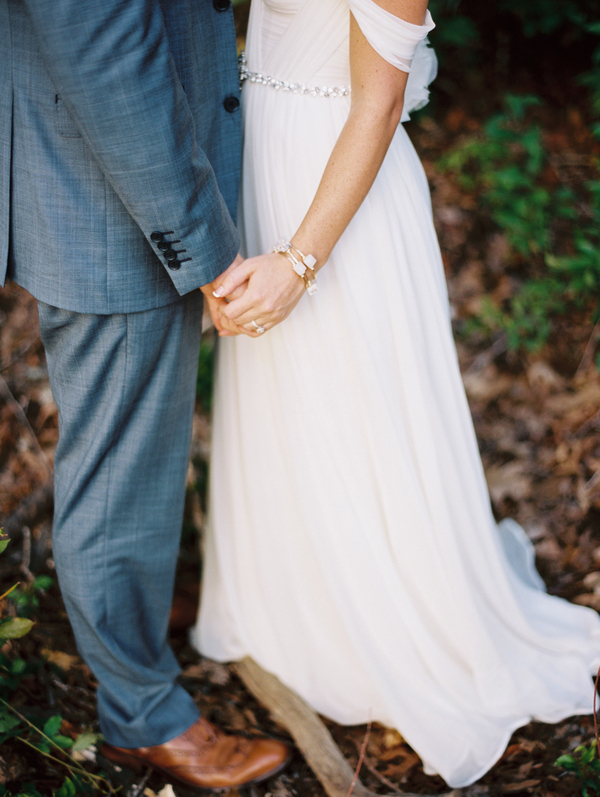 Welcome to The Southeastern Bride! 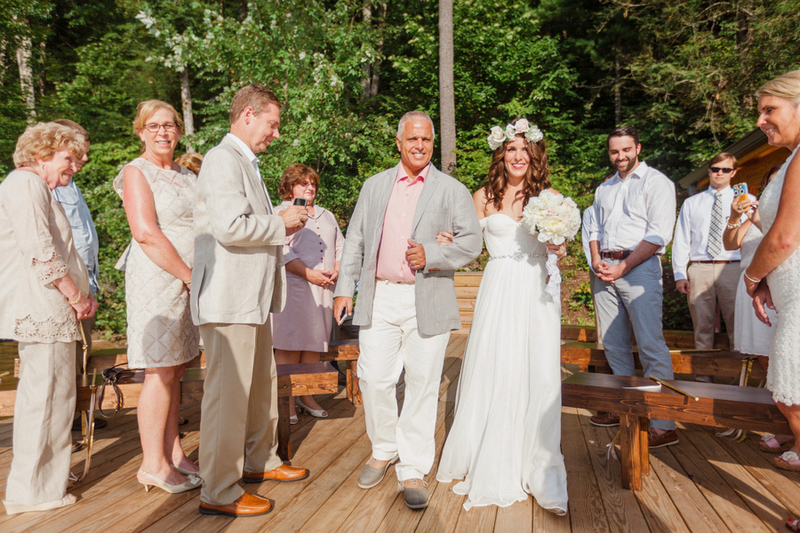 I am so excited to be able to share weddings with you from all across the Southeast. 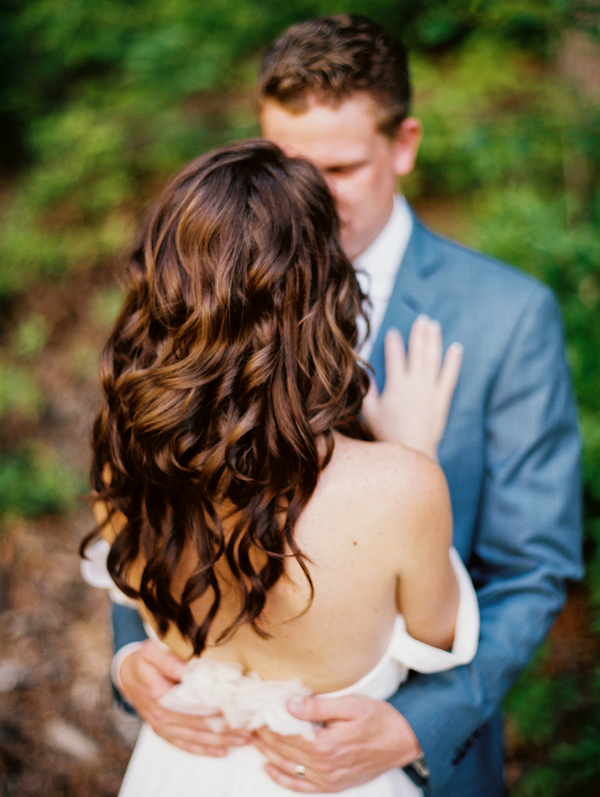 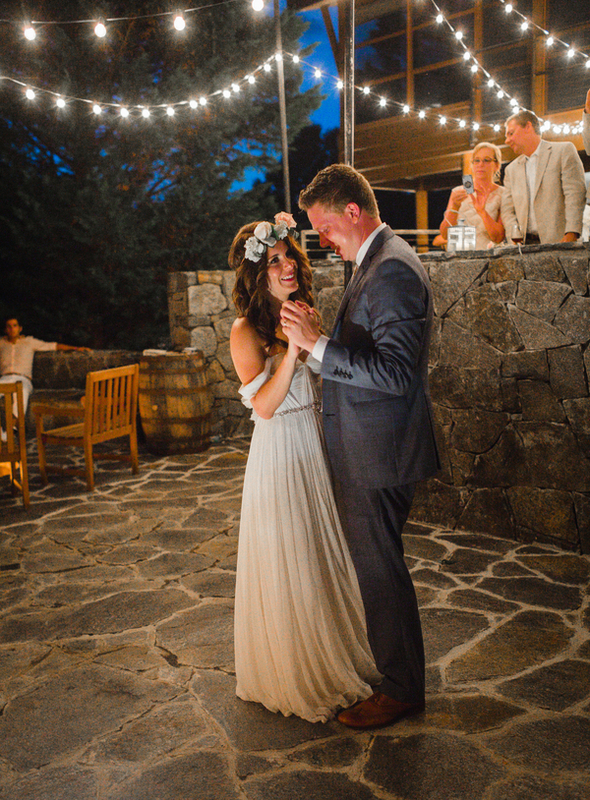 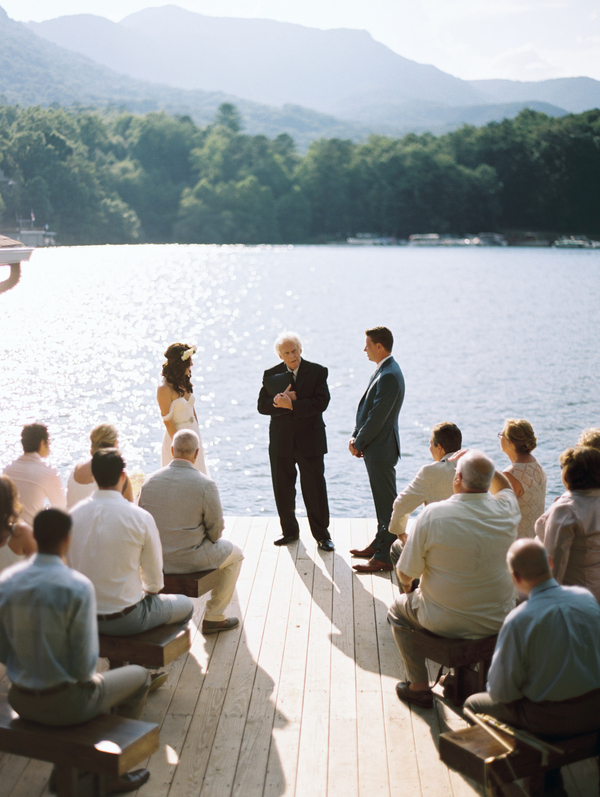 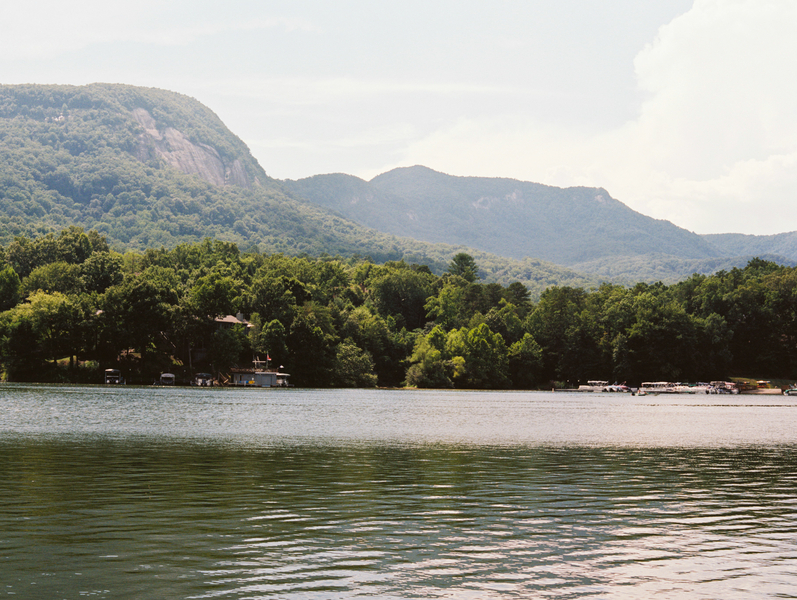 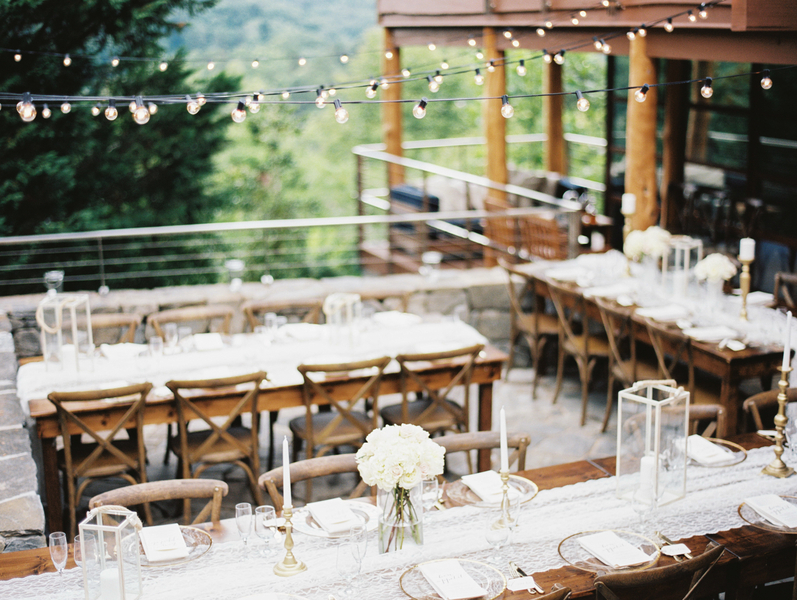 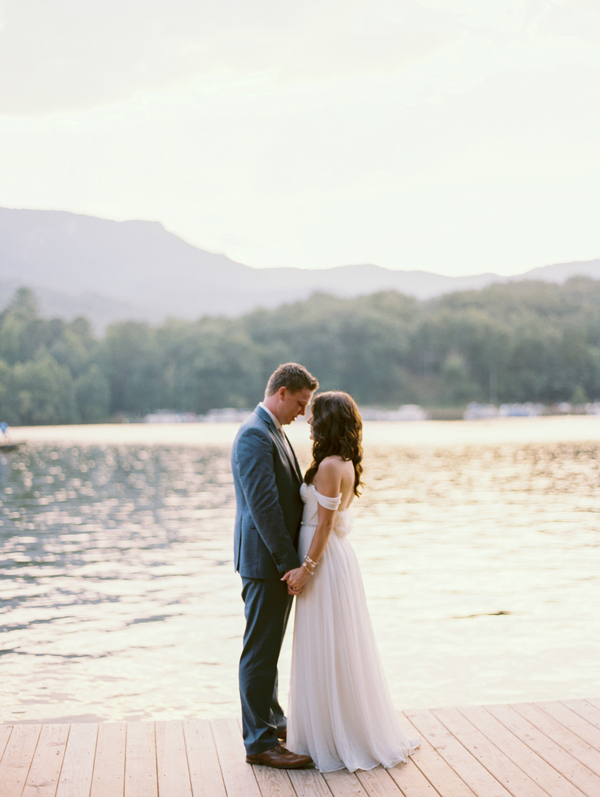 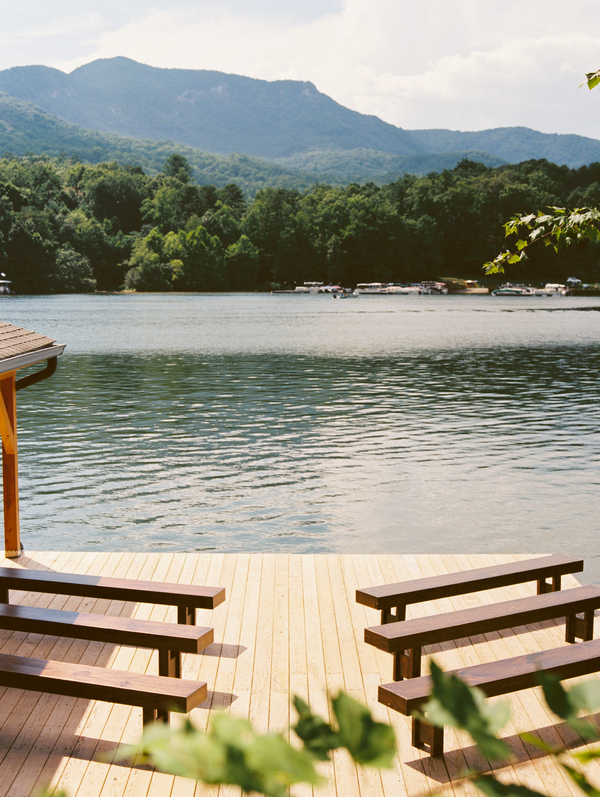 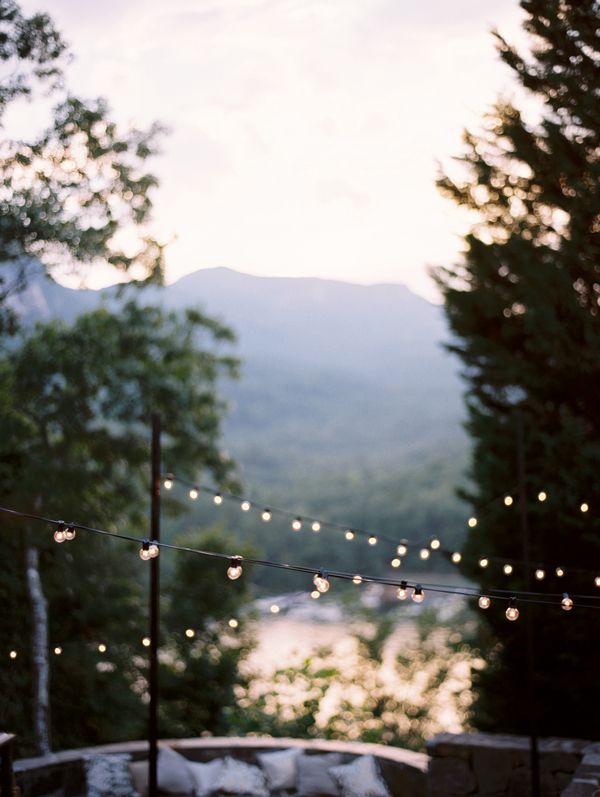 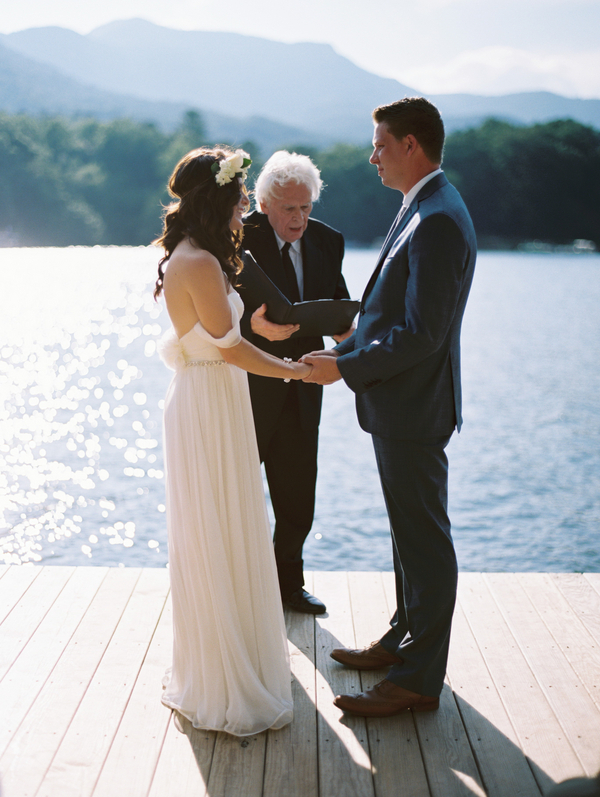 Without further ado, our first wedding is a North Carolina beauty! 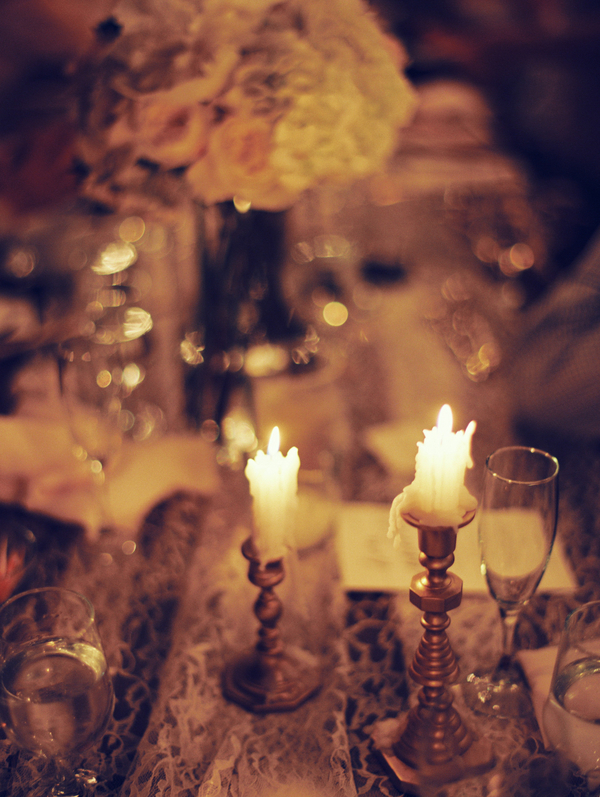 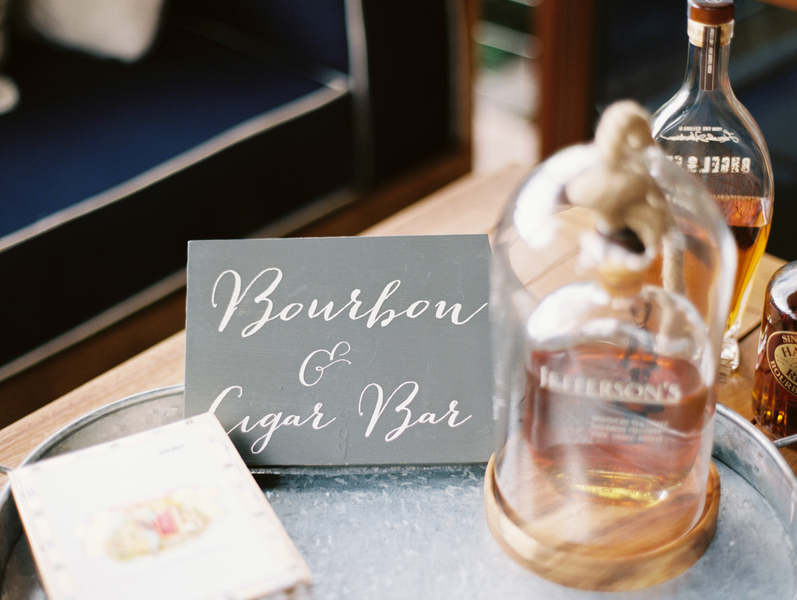 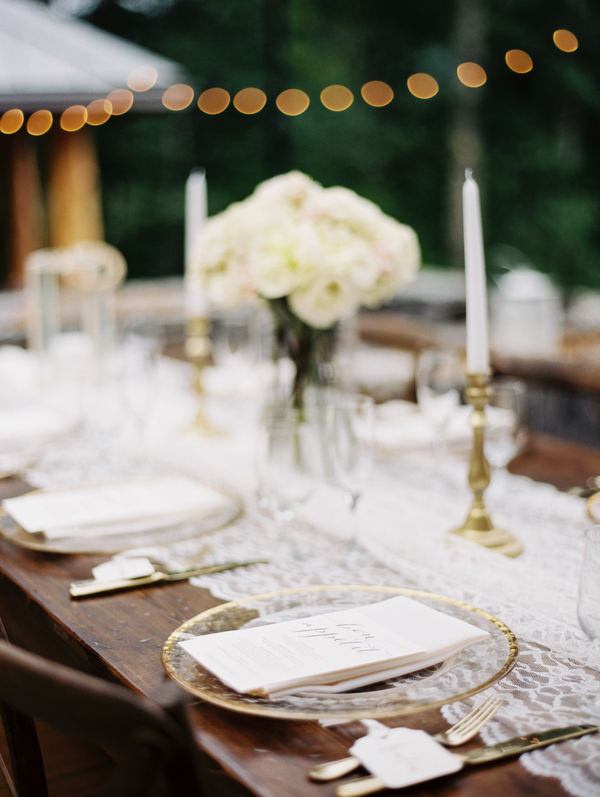 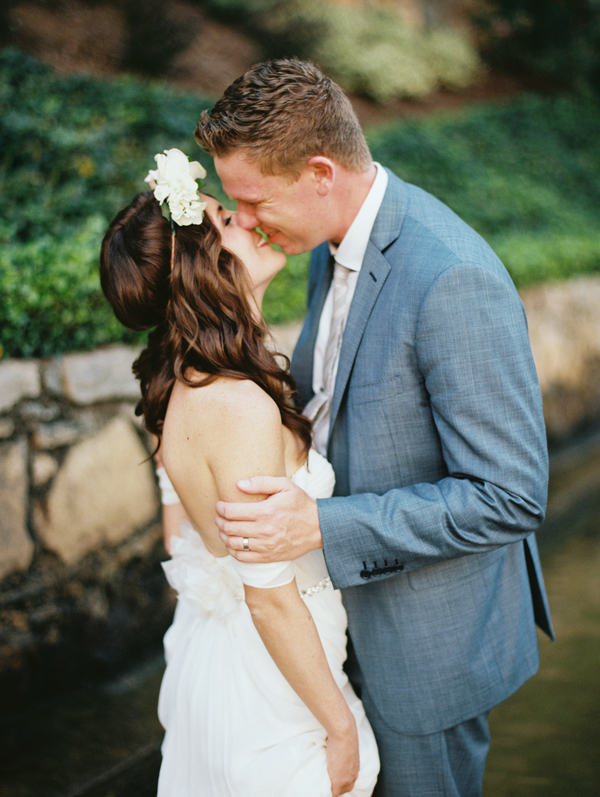 This wedding made my heart sing! 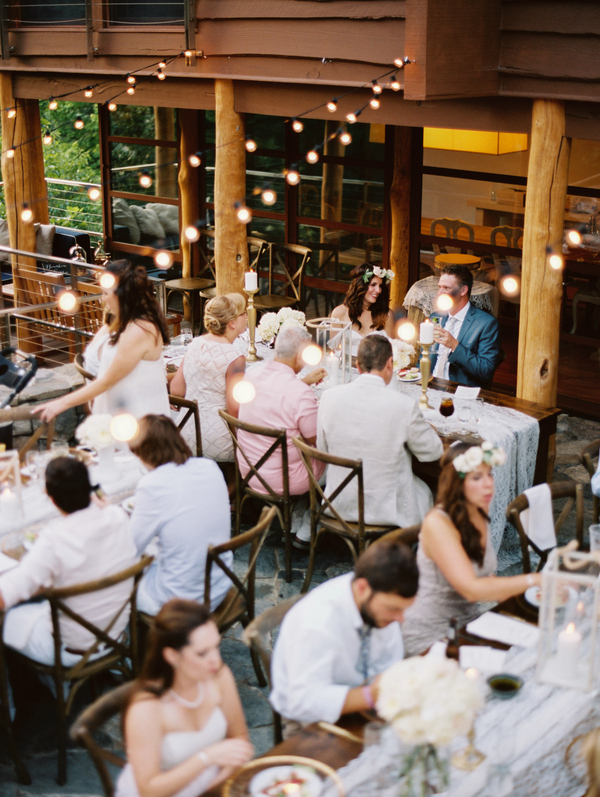 From the gorgeous backdrop of the lake, the hand crafted details by the bride, and especially to me the cozy cabin where the couple was surrounded by only their nearest and dearest friends and family. 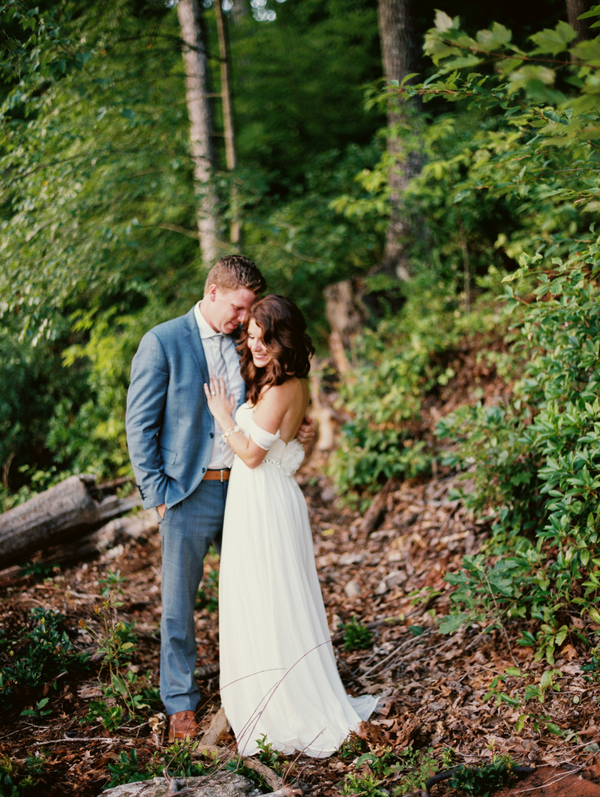 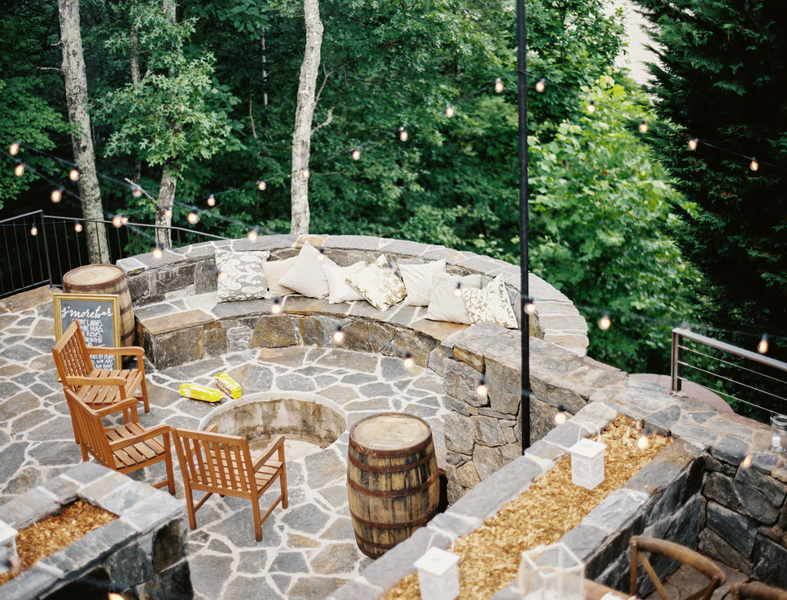 Having been married in a rented cabin in the Blue Ridge mountains, I immediately fell in love with Gina and Chad's wedding. 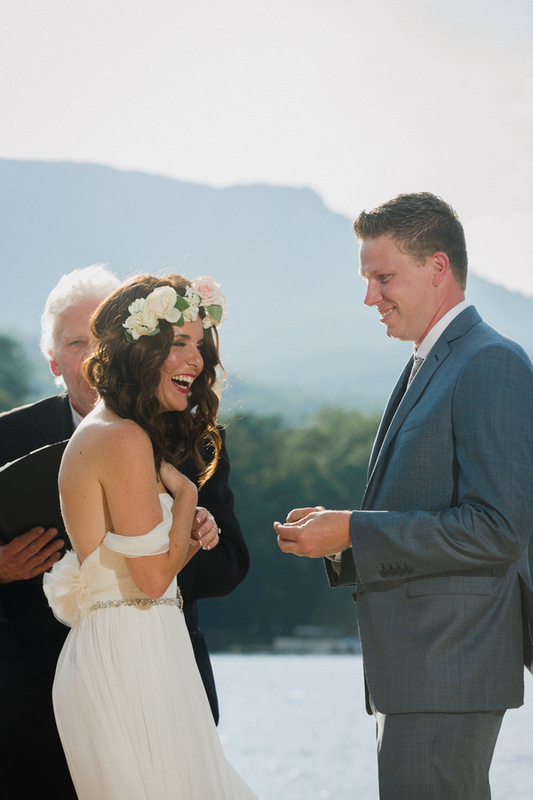 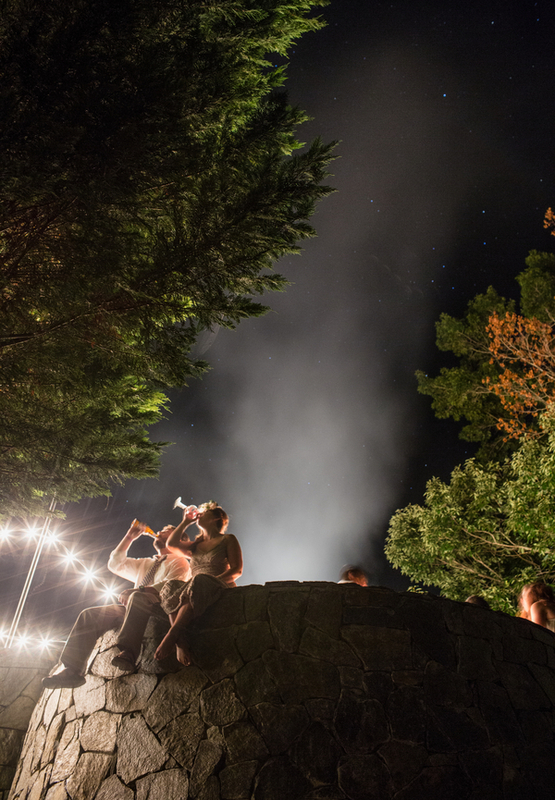 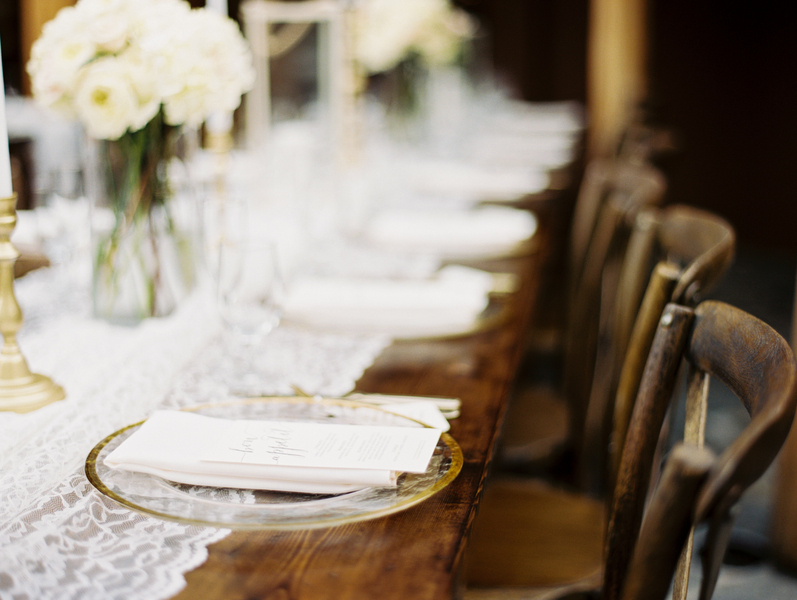 The whirlwind of wedding planning began just four months before the couple said I do. 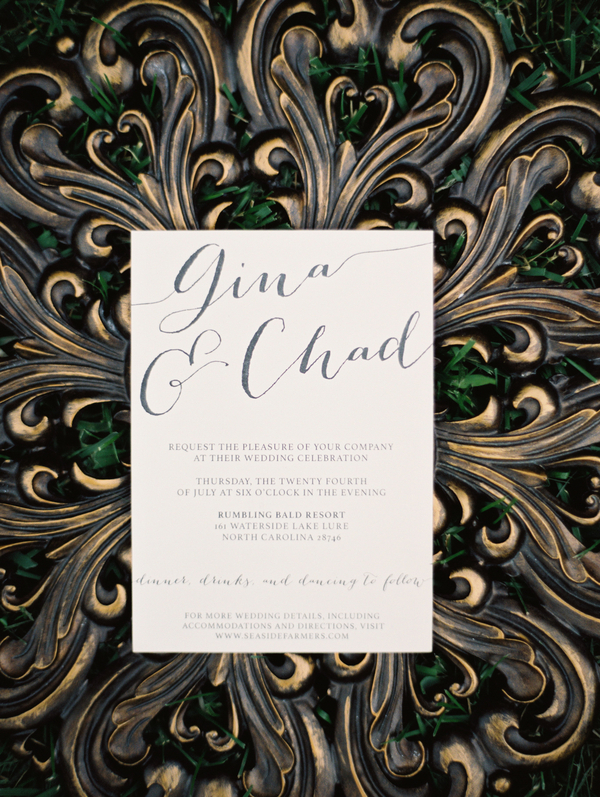 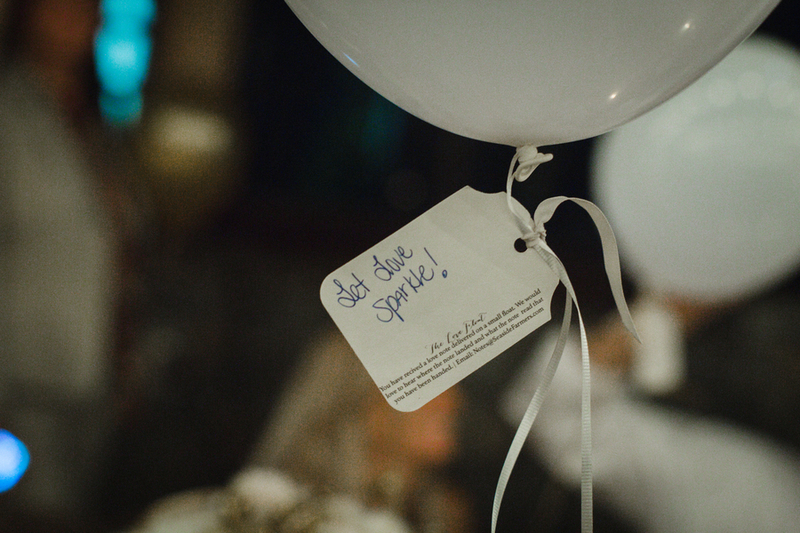 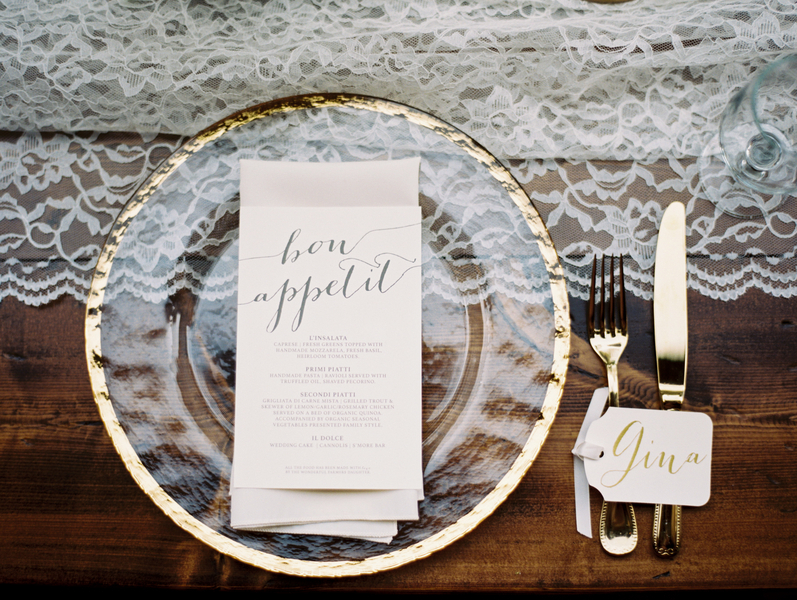 As a graphic designer, it was important to Gina to design all of the details from the stationary to the guests favors. 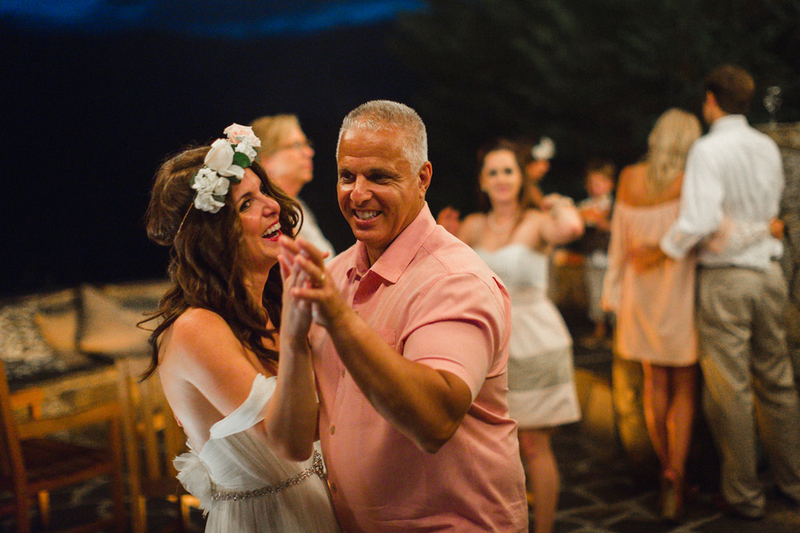 While much of their decor was thrifted pieces covered in gold spray paint and other DIY projects; the couple spared no expense when it came to feeding their Italian family. 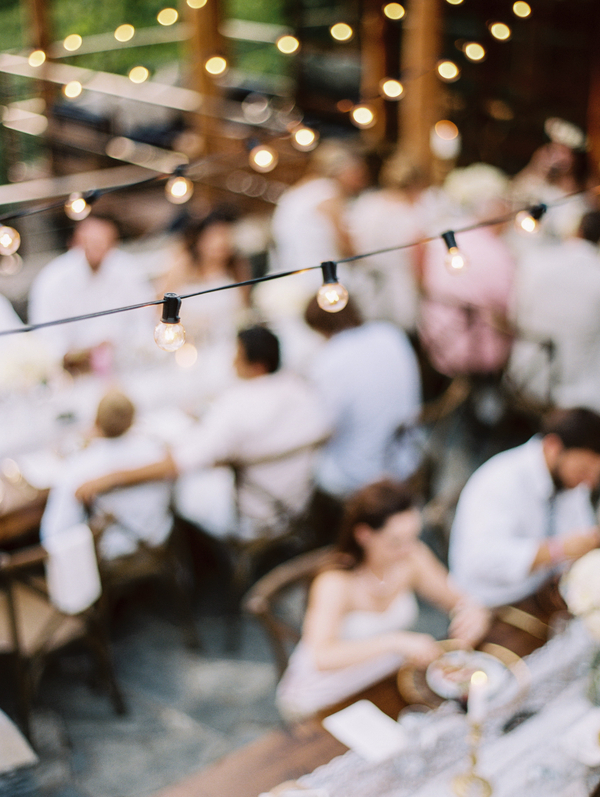 From a breakfast of omelets and mimosas to the four-course meal at the end of the evening, Gina and Chad enjoyed a beautiful day with their nearest and dearest. 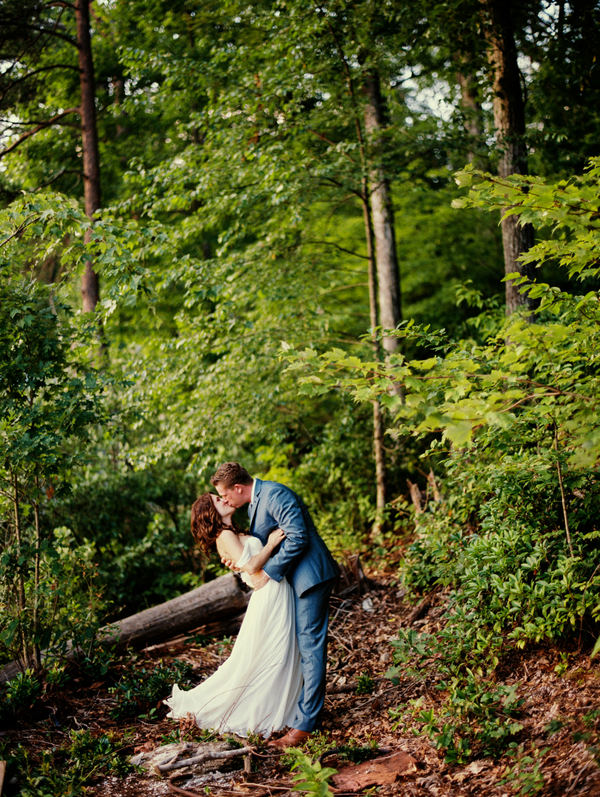 A huge thanks to JoPhoto for sharing this incredible wedding with us today!